A great bird bath, specifically tailored for cockatiels but suitable for a variety of small bird species. 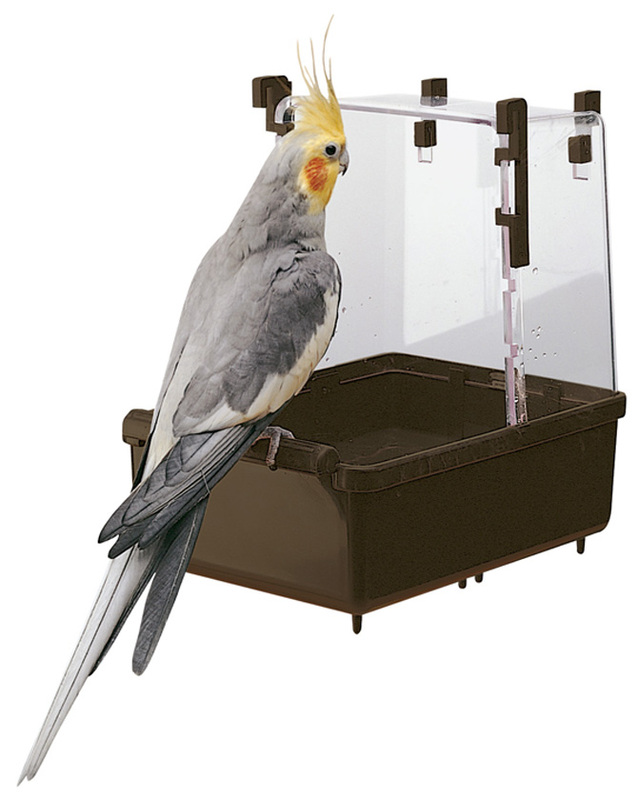 With a transparent hood that allows your bird to observe what's going on whilst it washes and a high-sided, easy clean tray that will keep water inside, thus minimising the likelihood of spillages. There are currently no questions for Ferplast Cockatiel Bird Bath - be the first to ask one!